Oil and gas companies will need to be more innovative if they are to survive in the future, a new report urges, arguing such companies need to be more creative to withstand the continued fall in oil prices. PricewaterhouseCoopers (PwC), a consultancy, said companies needed “fresh strategies” to maintain business during the current climate of oil markets. The report also urged firms to control costs in a “sustainable manner,” including divesting in areas not crucial to their business. “With economists predicting low oil prices throughout 2015, UK oil and gas firms are not out of the woods by any means,”said Brian Campbell, PwC’s oil and gas capital projects director. “They are still at risk of an economic triple-whammy: as the falling oil price reduces income, incremental investment may no longer be economic with a risk that field life diminishes and decommissioning is accelerated,” he said. Campbell also warned firms needed to be able to operate in an environment where they could withstand even the sharpest of oil price declines, which could risk thousands of jobs at crucial oil refineries. “We've been talking about cost reduction and restructuring within the industry for several years now, and the harsh truth is that if many larger exploration and production and oil field services firms had implemented programs before the oil price crisis hit, then the industry would be in a much better place to weather the storm that is currently raging,” he said. The report comes as oil prices have fallen by around 60 percent since July last year, prompting big oil refineries to make an unprecedented number of redundancies. 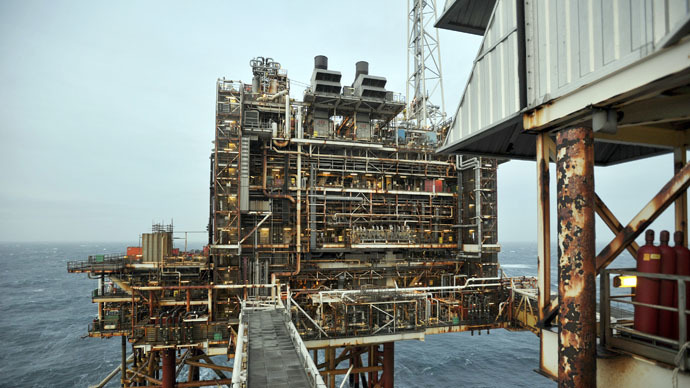 Earlier this week, oil experts warned the government that poor performance of oil firms would result in 6 billion barrels of oil being untapped in the North Sea. Other experts have been optimistic about the fall in oil price, however. Analysts from the National Institute of Economic and Social Reform (NIESR) said the UK would benefit from the decline in prices, especially as Britain would be able to outperform other European countries on an economic level. Additionally, oil bosses are said to be lobbying UK Chancellor George Osborne to implement tax cuts and financial incentives to energy firms, to encourage further exploration and development of alternative sources of energy such as shale gas.